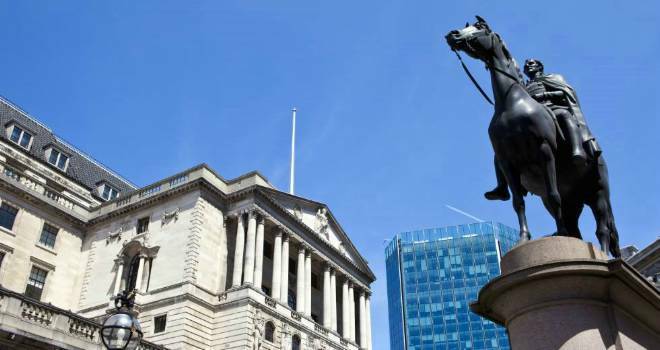 In a widely expected move, the Bank of England's Monetary Policy Committee has increased the Bank Rate from 0.25% to 0.5% - the first rise in a decade. The Committee vote by a majority of 7-2 to raise interest rates, with David Ramsden and Jon Cunliffe voting against. This week, market odds of a November rate rise hit 90%. Base rate speculation caused SWAP rates to increase significantly over the past few weeks, with many lenders beginning to increase mortgage rates as a result. Citing reasons for the rise in its minutes, the MPC noted that unemployment has fallen to a 42-year low, "domestic financial conditions are highly accommodative and consumer confidence has remained resilient". The MPC added: "In line with the framework set out at the time of the referendum, the MPC now judges it appropriate to tighten modestly the stance of monetary policy in order to return inflation sustainably to the target. "All members agree that any future increases in Bank Rate would be expected to be at a gradual pace and to a limited extent." In August 2016, the MPC voted unanimously to cut Bank Rate to a record low of 0.25% and introduced a package of measures designed to provide additional monetary stimulus following the vote to leave the European Union. In recent months a number of MPC members, including Governor of the Bank of England Mark Carney, admitted that a rate rise was "likely to become necessary" as inflation moved further away from its target and GDP growth beat economists' forecasts. Many industry experts believe that today's increase marks the start of a series of rate rises. James Roberts, Chief Economist at Knight Frank, predicts a "gradual rise ahead, partly to stockpile some future rate cuts should the MPC need to combat another downturn at a later date". Ishaan Malhi, CEO and founder of online mortgage broker Trussle, added: “Depending on how inflation responds to today’s increase, there’s also every chance we’ll see another base rate rise in the next six months or so. With this in mind, now is the right time for borrowers to lock in a low fixed rate mortgage, and there are still plenty of good deals on the market." Emmanuel Lumineau, CEO at BrickVest, commented: “Today’s announcement is momentous for the UK economy and should signal the start of a series of gradual increases. The Bank of England has decided that inflation is potentially getting out of control and the economy now requires higher borrowing costs. The decision also signals that the UK economy has not performed as weakly as the Bank predicted last year."